I've recently started work on a tool to track and organize burnination requests. 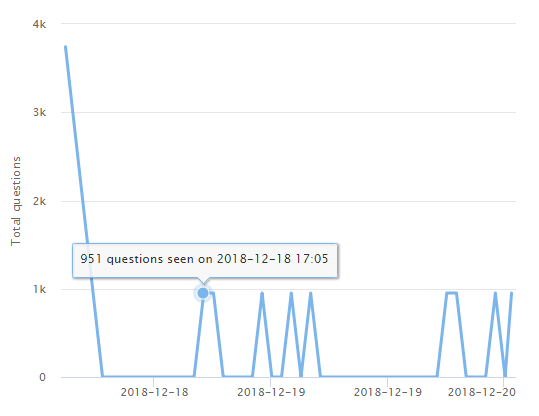 At its core, it tracks the number of questions attached to questions found in burnination requests. Part of that tool is tracking synonym requests, as well as detecting when a tag is synonomised. Initially, I thought I was accidentally storing the count from another tag. However, 951 exactly matches the count here (filter to 'messages' (screenshot)). This behaviour is not consistent. It alternates between returning the tag's master (with the requested tag listed as a synonym), and the synonymised tag itself. Browse other questions tagged bug tag-synonyms api .